An independent local service offering 1:1 tuition to children aged 5-16. Covering writing, reading, maths, sciences, ICT and English as a foreign language in a 1:1 environment. With prices ranging from £17 to £45 the aim is to meet the needs of the whole child. Children with specific learning difficulties are our specialty, with a wealth of experience in this area, ELA can help you and your child. We are registered with Ofsted so we can accept childcare vouchers. I would just like to say how much my son has enjoyed attending his tutoring sessions at ELA over the last few months. It has definitely helped him with his maths and his teacher noticed a difference too! Thank you and we will call on your services again in the future. Fiona has given my son lots of confidence. His school have even put him in for the higher paper! 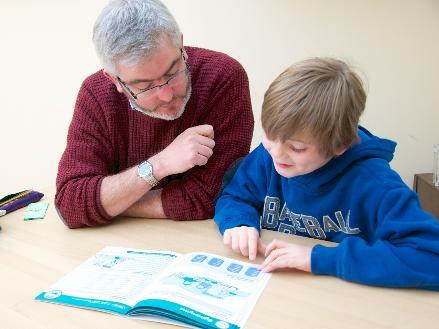 Working with Stewart has improved our son's confidence and achievement in maths. He is feeling much better prepared for secondary school now. His approach has been well paced for our child with an excellent nurturing and enabling focus.